What better way to stand out ? Unconventional types of visual communication are the best eye catcher there can be. 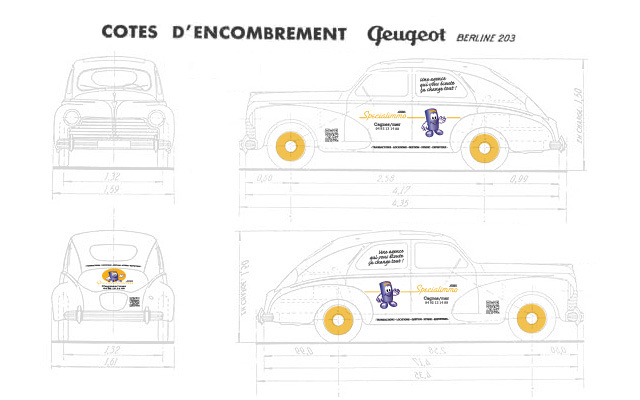 What better way to draw the attention than a perfectly renovated, yet classic Peugeot 203, subtly "stamped" by Ideogram Design with the info about the real estate agency SpecialImmo. 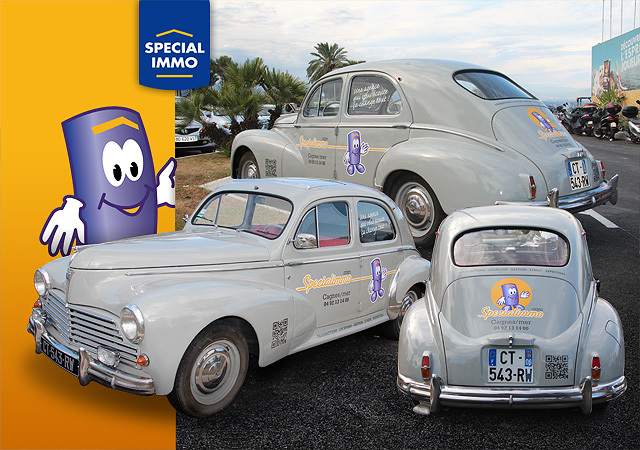 The challenge was to reproduce the Special Immo's graphic identity, without sacrificing the "retro" style of this vehicle. Appropriate typography, use of the agency's mascot and the little tech bonus: the QR Code.